A talented rider as a junior, an accident in the Tour of Ireland as an 18 year old started a year of misfortune for Darren Kenny. The fractured skull and vertabrae suffered in the crash were compiled by a car smash and work accident, all within the space of 12 months and all featuring head injuries. The accumulative effect of the three incidents left Kenny with restricted movement on the right side of the body and on heavy medication to dull the pain. At the age of thirty, Kenny started on the comeback trail. With adjusted medication and less side-effects, the rider from Dorset got back on the bike – initially to lose weight and get fit – and dropped from 92kg to 69kg. He was soon back into competition on the track, initially in the local track league at Calshot, before discovering and making contact with the Paralympic squad. Kenny took two golds and a silver at the Athens Paralympics and has been winning track World Championships and setting new World records ever since. He reached new heights at the Beijing Paralympics, bagging four golds and a silver from the five events ridden – kilo, team sprint, pursuit, road time trial and road race. The 2012 Olympics in London were not quite as prolific, coming in the twilight of Kenny’s career, but he nonetheless came away with bronze in the individual pursuit and silver in the mixed team sprint. 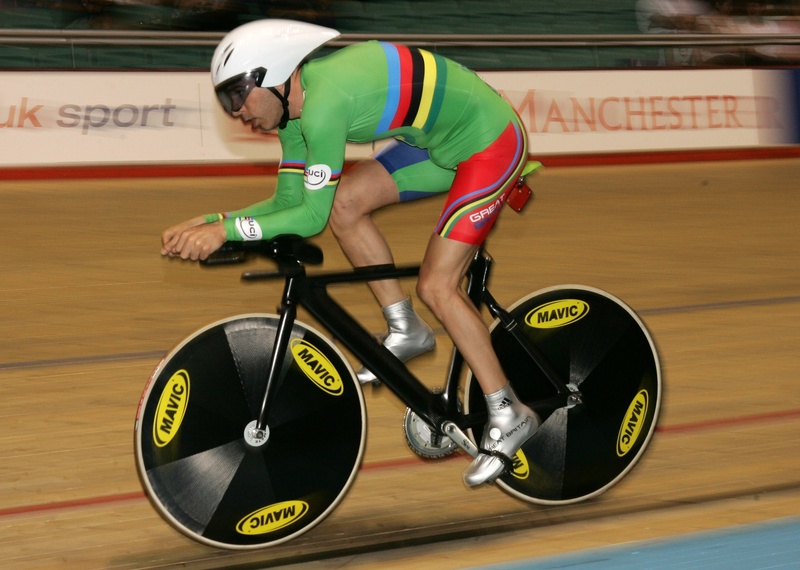 He holds the ‘absolute hour’ record (using aero equipment), which stands at 41.817km, and recently added the ‘athletes’ hour’ (on a standard bike), covering 40.156km on the Copenhagen track. Kenny was awarded the OBE in the 2009 New Year Honours list in recognition of his achievements. Click on the thumbnails of Darren Kenny below to open a larger image in a new window.